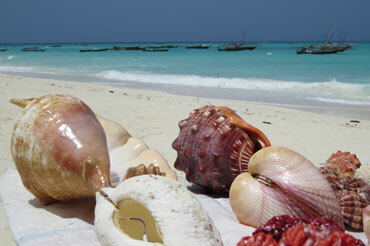 Nungwi on the northern tip of Zanzibar is the place for you who want some action without losing the Zanzibar vibe. 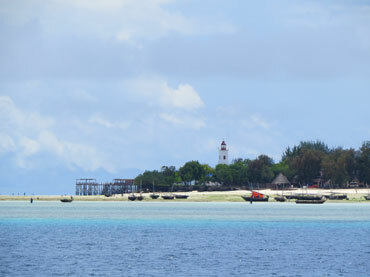 The sea in Nungwi is fantastic and since the tide does not affect as much, you can swim 24/7 – alone if you go a little more to the north. At low tide there is a place for beach volleyball and other beach games. At dusk the restaurants creates a magical atmosphere putting their candle light tables and make bonfires on the beach on the beach. Nungwi turns from sunny day to soulful night and if you want you can dance until sunrise. Everything in Nungwi is within walking distance and in the afternoon you can watch the sunset on one of the many enjoyable terraces. Cinnamon Bar at the Z-Hotel is our favorite with excellent sea views and good food. Take a stroll from the beach to see the local life that exists alongside tourism. There are small local shops, local restaurants and lots of children playing in the street. Talk with artisans and take a look when the dhow boats are being built. Visit the lively fish auction starting when the boats come in with Kingfish, Tuna, Red Snapper etc. Swim with the turtles in Baraka Natural Aquarium. Squeezing and hugging is allowed. Recommended for animal lovers. Visit the Massai market south of Nungwi Beach, talk to people and buy some Massai jewelry to support their villages and pastoral life in mainland. If you are lucky, you will experience the traditional song and dance that they sometimes spontaneously show. Visit Jenga store and shop with local products supporting women empowerment.